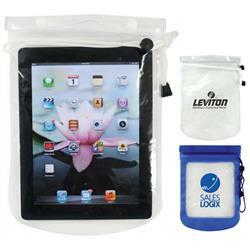 The Custom Waterproof Tablet Pouch - great for travel or boating. PVC Waterproof Tablet Pouch for Media devices with triple press lock top closure and double fold with snap closure and nylon Cording. Approximate opening size is 10”h x 8”w. 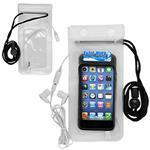 Can be used for hiking, travel, boating, outdoor GPS and much much more. Also, if you spill a lot of coffee, this can save your tablet. Think about it. FREE RUSH AVAILABLE! 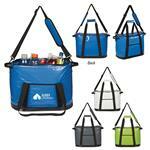 Available Colors: Clear and Reflex Blue. Dimensions: Approximate opening size 10"h x 8"w.
• Approximate opening size 10"h x 8"w.